HANOI, June 3 (Reuters) – Most Southeast Asian stocks rose on Tuesday, in line with other regional equities, as the Thai index touched a fresh seven-month high on hopes of economic reform and Philippine shares posted their biggest gains since April 21. Asian stocks climbed on Tuesday, supported by solid U.S. and Chinese data that sent Japanese shares to two-month highs. The Thai SET index extended its gains to a sixth session, rising 0.92 percent to 1,454.24, the highest close since Oct. 29. The military junta governing Thailand after a May 22 coup recently unveiled measures aimed at reviving an economy threatened by recession after months of political turmoil. Measures such as price caps on fuel and loan guarantees for small firms are expected to kick-start the Thai economy, which has boosted shares of banks and industrial developers. Consumer confidence in Thailand also rose in May after falling for 13 straight months, according to a university survey carried out after the army seized power. Kasikornbank Pcl was up 2.84 percent at a near-one-year high at close while telecommunications firm Advanced Info Service Pcl rose 1.69 percent. The Philippine exchange gained for a second straight session, ending 1.35 percent higher and reversing previous week’s losses after weaker-than-expected GDP growth data. “Investors are slowly ignoring the disappointment over the 1Q14 GDP from last week,” Asiasec Equities said in a report. Analysts also attributed Tuesday’s gains in the $172-billion Philippine market to the positive data from China and the United States. Property firm Ayala Land Inc led the gainers, advancing 3.59 percent, followed by Universal Robina Corp that closed 2.75 percent higher. Other stock markets in the region also advanced. 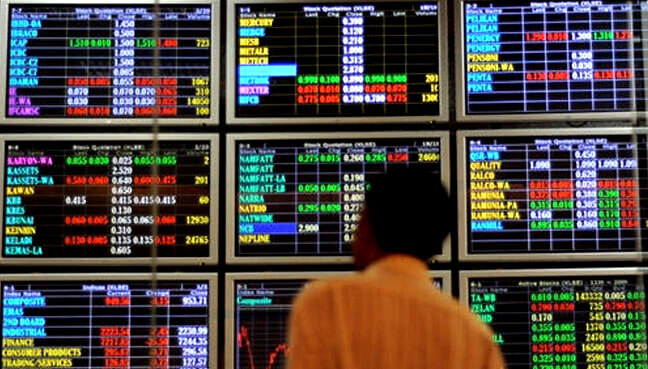 Indonesia’s Jakarta SE Composite Index rose 0.61 percent while Malaysian shares gained 0.45 percent. Vietnam’s benchmark VN Index closed up 0.35 percent, though analysts expected losses to emerge soon due to poor fund inflows that dragged volumes on Tuesday to the lowest in nearly four weeks. Singapore’s Straits Times Index bucked the trend, retreating 0.17 percent from its one-year closing high hit on Monday.